Defiance Therapist: Melissa Davies - Therapist 43512. Send A Message To Dr. Davies. 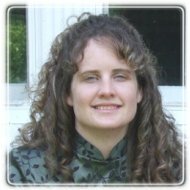 Melissa R. Davies, Psy.D. is a clinical psychologist specializing in individual, couples and family psychotherapy and psychological assessment. She maintains a private practice in Defiance, Ohio. With over 10 years of clinical experience, she is a graduate of Wright State University, School of Professional Psychology. She earned her doctorate degree in 2003. She is currently serving as private practitioner working with a broad spectrum of clients. Her areas of expertise include treatment of chronic pain, family treatment for oppositional children, assessment of ADHD in children and adults and treatment of depression and anxiety. In addition to being a clinical psychologist, Dr. Davies enjoys creative writing and genealogical research. She is an avid animal lover and enjoys quiet time at home with her husband and daughter. Dr. Davies is an interactive, solution-focused therapist. Her therapeutic approach is to provide support and practical feedback to help clients effectively address personal life challenges. She integrates complementary methodologies and techniques to offer a highly personalized approach tailored to each client. With compassion and understanding, she works with each individual to help them build on their strengths and attain the personal growth they are committed to accomplishing.